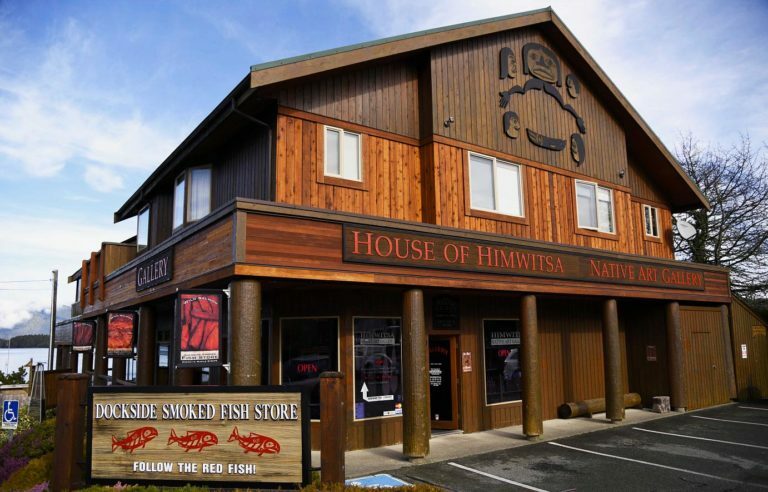 Himwitsa Lodge is located in the downtown core of Tofino, Vancouver Island, BC, Canada, near the end of Trans Canada Highway. Tofino is a beautiful rural town that is situated in the Pacific Rim National Park Reserve as well as the United Nations World Biosphere Reserve. During peak season, the small town of Tofino boasts tourists from all over the world, hence the recommendation of reserving an accommodation in Tofino for your stay. 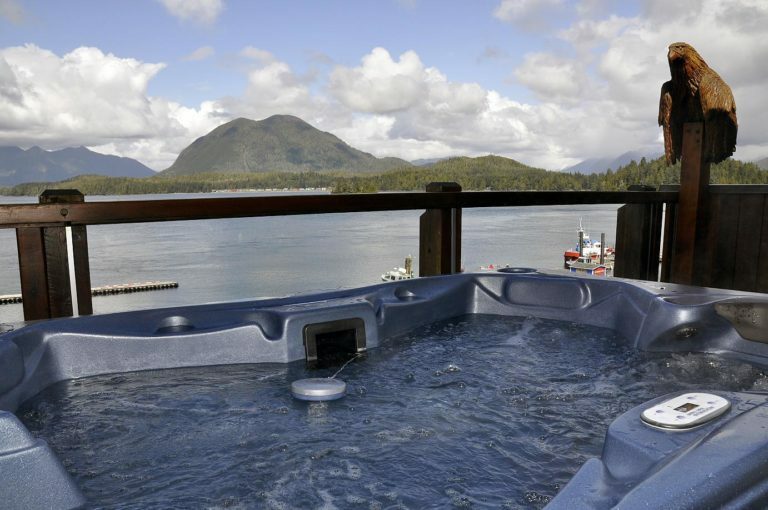 The Himwitsa lodging in Tofino, presents great location, fabulous breathtaking sunset views over Vargas Island and great rates! 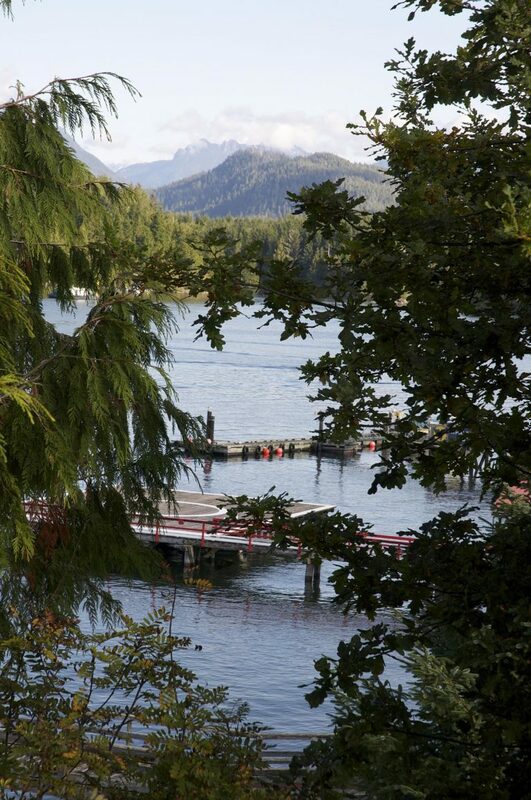 We have 5 suites available that suits every need to relax and enjoy the town of Tofino; whether you’re on your honeymoon, a weekend getaway in Tofino or traveling with family! We have three studio styled suites that have a 180 degree view, and two apartment styled suites have a 90 degree view that overlooks the bustling harbor of Tofino. Moreover, four suites come with an outdoor hot tub on a private balcony! All rooms are equipped with a full bathroom, kitchenettes, satellite TV, free wifi and parking. On the edge of the West Coast in Tofino, Himwitsa Lodge is only minutes away from all the local shops, Tonquin Beach, tours for hot springs cove, whale watching, bear watching, kayaking and surfing. Don’t want to waste travel time? Fly in from Vancouver, BC via seaplane and land right next to us! We have 5 suites in our lodge. Suites 1 / 3 / 4 / 5 all have private hot tubs on the deck! Perfect for a little getaway weekend, relax and kick your feet up. Feel free to call us for more details.